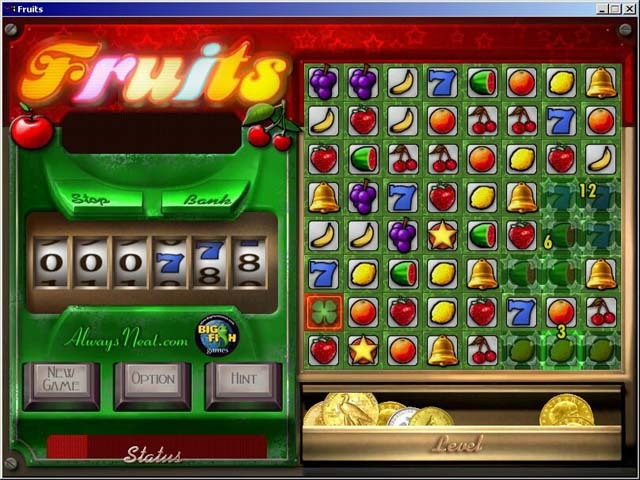 Power ups, double-or-nothing gambling, 200 levels with surprise rounds, and 3 different game modes make this a fruity good time.Get your daily serving of Fruits.Fruits is the maddeningly-addictive puzzle game with casino-flair.Remove fruit to create combinations of three or more, and get rewarded with coins (just like in a slot machine). But beware! Too many unproductive moves and the game is over. 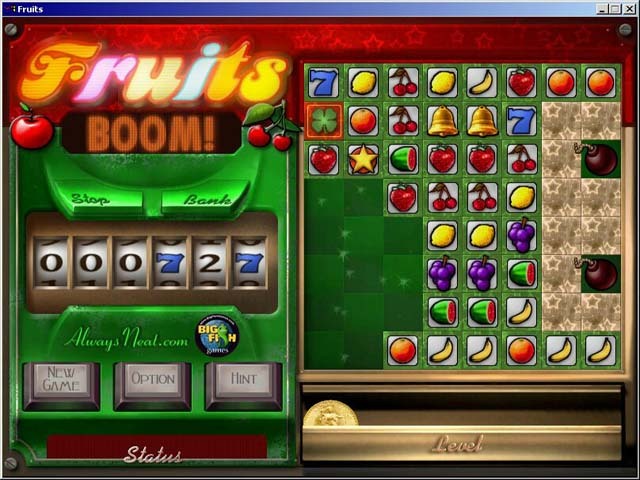 Special power ups, double-or-nothing gambling, 200 levels with surprise rounds, and three different game modes make this a fruity good time. 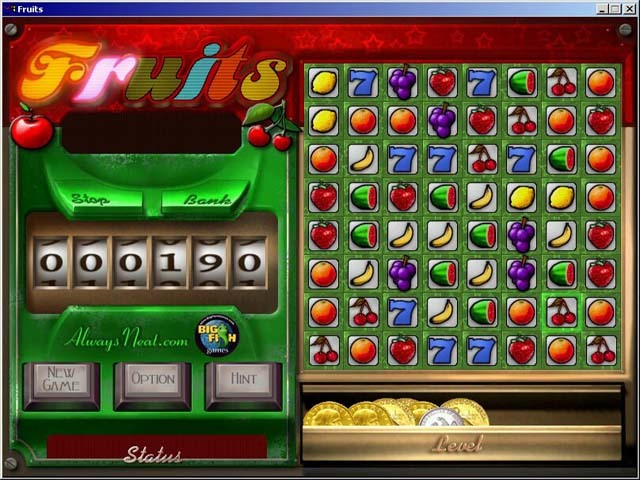 Download now and start getting your daily serving of Fruits.